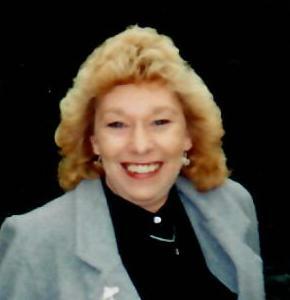 Margot M. Barrios, age 70, of Peotone, passed away on Saturday, April 13, 2019 at her home. She was born on January 27, 1949 in Chicago, the daughter of the late Douglas and Margot (Schwaan) Firth. She was a branch manager at Beverly Bank and then worked as a front end manager at Seehausen’s Supermarket in Peotone. She was a member of the Kiwanis, loved carousels and gardening, and enjoyed traveling and embroidery. She is survived by her husband, Anthony M. Barrios who she married on January 21, 1989. She is also survived by her children, Sandy Thusing, Tammy Sabas, Tammy L. Barrios, and Wendy E. Pursley; grandchildren, Anthony and Andrew Sabas, Kayden Stone, Robert and Mandy Thusing, Amanda, Samantha, and Jeffrey Bullock, and Brad and Lynn Pursley; great-grandchildren, Joe, James, Lena, Finley, Wesley, and Jaylen; a niece, Jackie Borgman; and a nephew, Toby Colvin. She was preceded in death by her parents and a sister, Sandra Colvin. Cremation rites have been accorded. All services will be private.